Palace of the Shirvanshahs which was built during the glorious years of the 15th century. · Arrive at Heydar Aliyev International Airport and meet our local representative at the pick-up point. 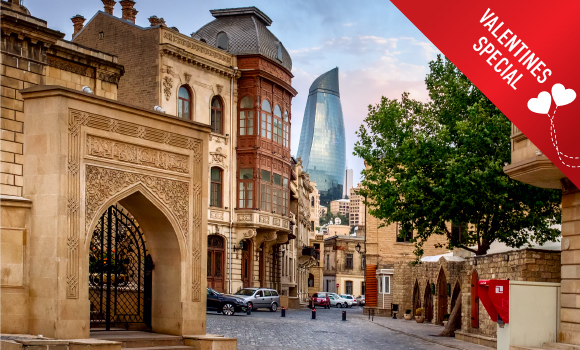 · Get a hassle-free transfer to your booked hotel in Baku and complete the check-in process. 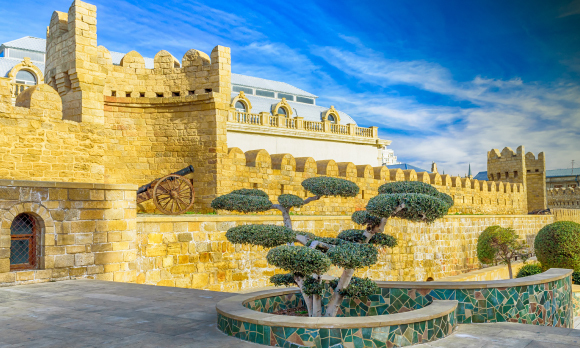 · Tour to the Old City of Baku the largest capital in the Transcaucasia region. · We offer shine shopping and visit the most fashionable shopping centers in Baku. Ganclik Mall shopping center is located 2 minutes walk from the metro station Ganclik Baku metro. The building has all the architectural attributes of the East and the modern art of the West. It consists of five floors, including two underground floors. · The center contains about 99 stores, ranging from 50 square meters to 370 meters in size, a large 1207 square meter supermarket, a cinema hall 6, a planetarium and a Cinema plus bowling halls, etc. Also in the shopping center there are restaurants offering different types of cuisine in the style of the local and European cuisine. · Enjoy a comfortable overnight stay. · Enjoy a tasty breakfast and complete the hotel check-out. · Board your return flight from Heydar Aliyev International Airport and cherish fond memories of your trip.